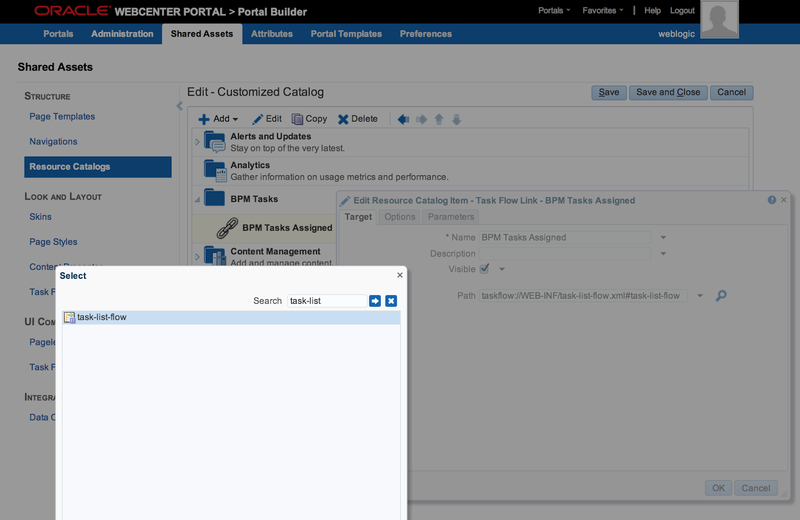 I would like to share sample application configured to run custom BPM Worklist and steps describing how to configure and access it from the WebCenter Portal. 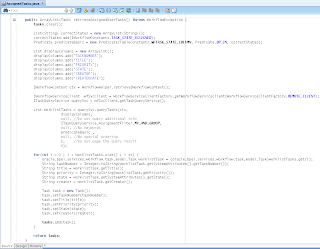 This post will be based on two other posts from my blog, I would recommend to go through them first. 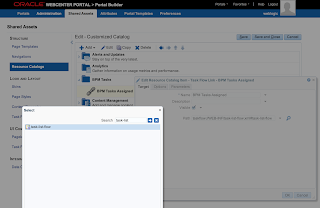 The one where is described how to extend WebCenter Portal 11.1.1.8 - Extending WebCenter Portal 11.1.1.8 Made Easy. 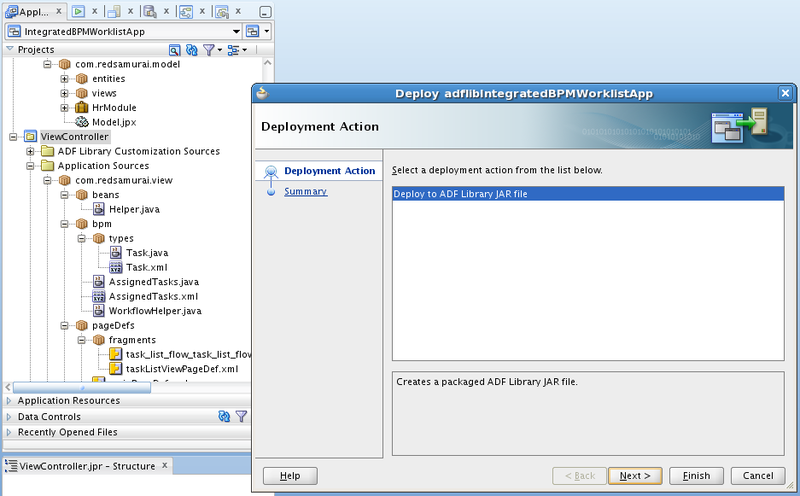 Other one about deploying custom ADF shared libraries - Deploying ADF Applications as Shared Libraries on WLS. 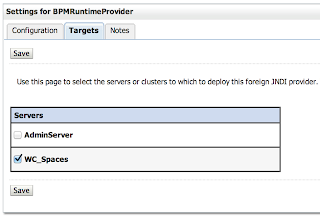 For this post, I assume BPM and WebCenter environment is running on the same domain. 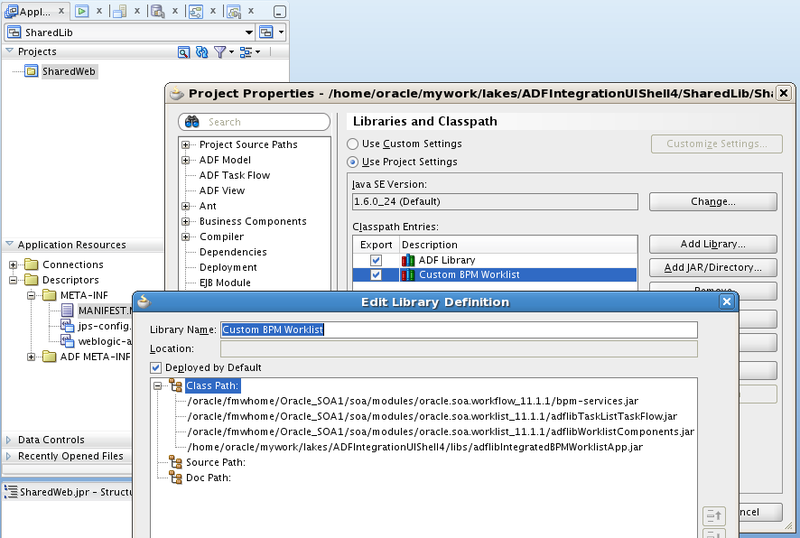 Ah, and there is one more - custom BPM Worklist access implementation through BPM Java API - ADF 11g PS5 Application with Customized BPM Worklist Task Flow (MDS Seeded Customization). 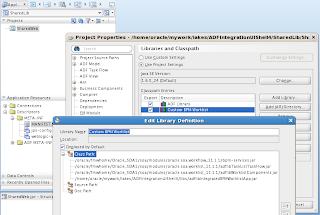 As there is one domain, it is relatively easy to link WebCenter to BPM. 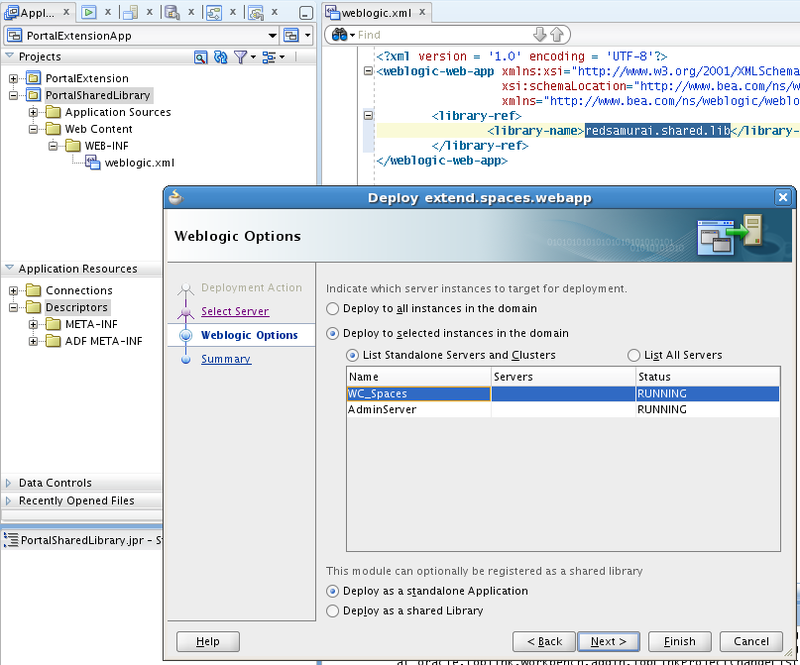 You only need to define Foreign JNDI provider, it will alloow to access Worklist context from WebCenter Portal environment. 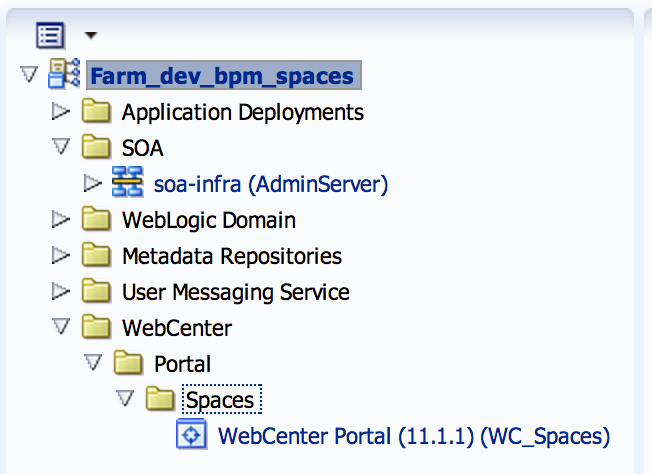 Make sure BPM libraries are targeted to WebCenter Portal server. 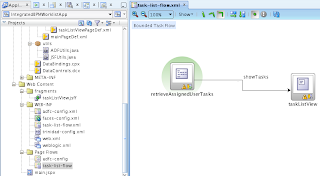 This example displays list of tasks retrieved from BPM for the current user. 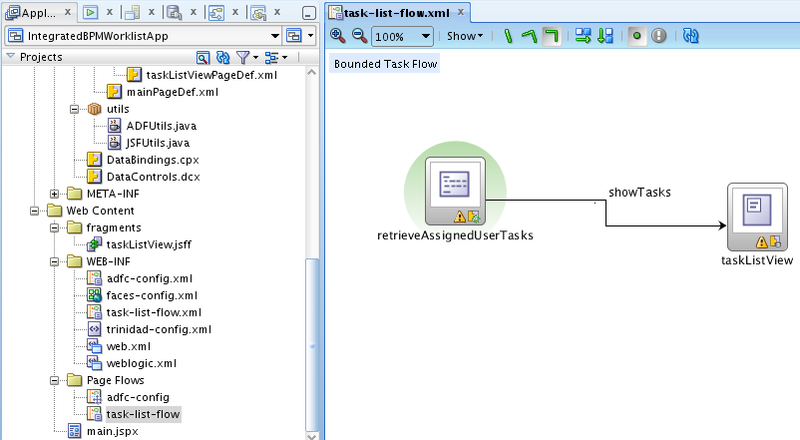 Using BPM API we could create new task, process task, map task instance with UI form. 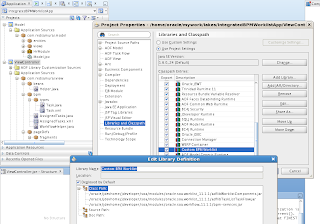 This is the beauty of ADF, you are free to implement your own lightweight components to interact with BPM and consume in WebCenter Portal. hi its really a good post. 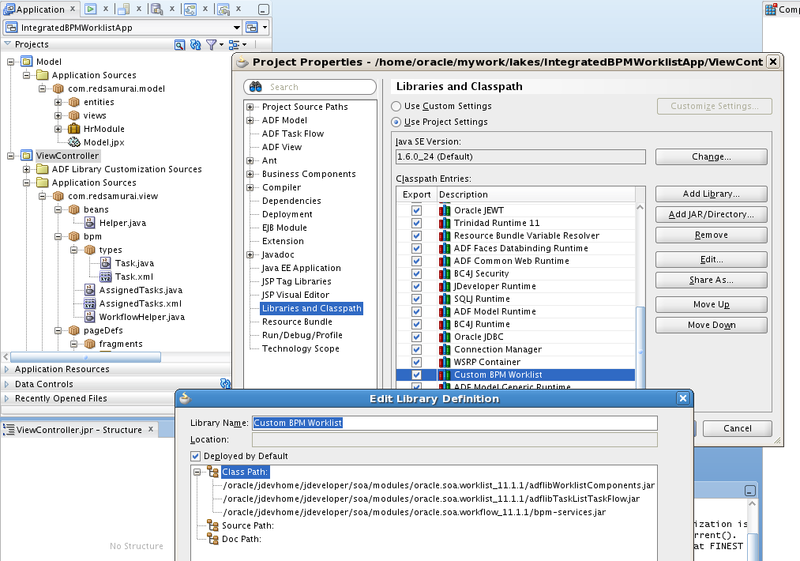 We are trying to achieve similar thing in our web center portal application. 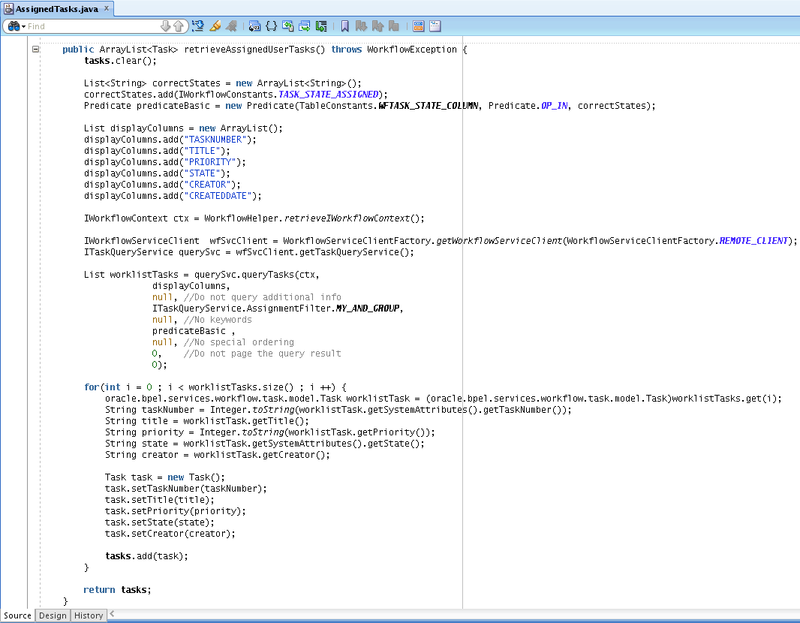 I am religiously following the steps as mentioned in your blog. 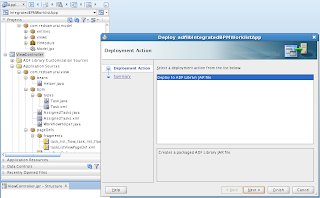 Followed till deploying shared lib to managed server. At this point I am facing problem. 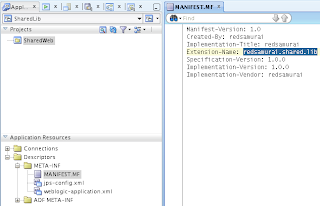 When I tried to deploy extend.spaces.webapp library it throws error saying this library is already deployed with version 11.1.1. 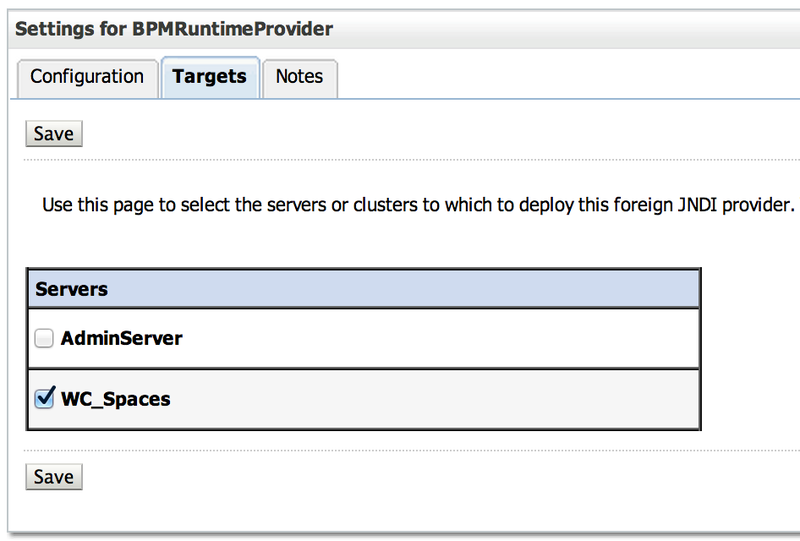 So I changed the version to 11.1.2 and deployed. 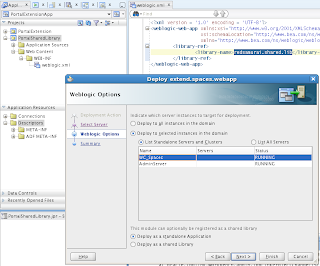 It deployed without much issues but web center portal console doesn't come up. 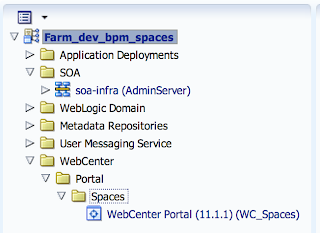 WebCenter 11.1.1.4 enterprise application is not in Active mode when I checked in admin console -> deployment section. 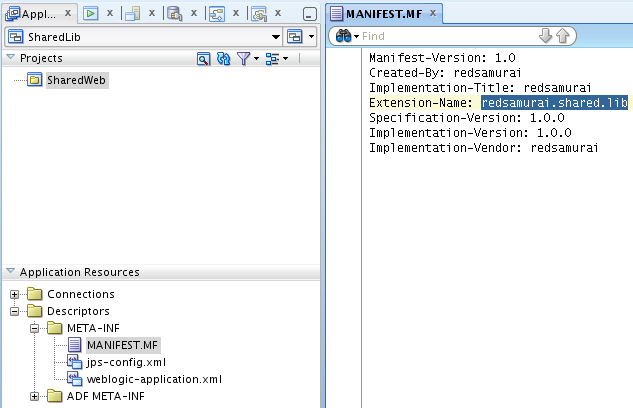 Can you please help/suggest what should be the reason and how to over come it.